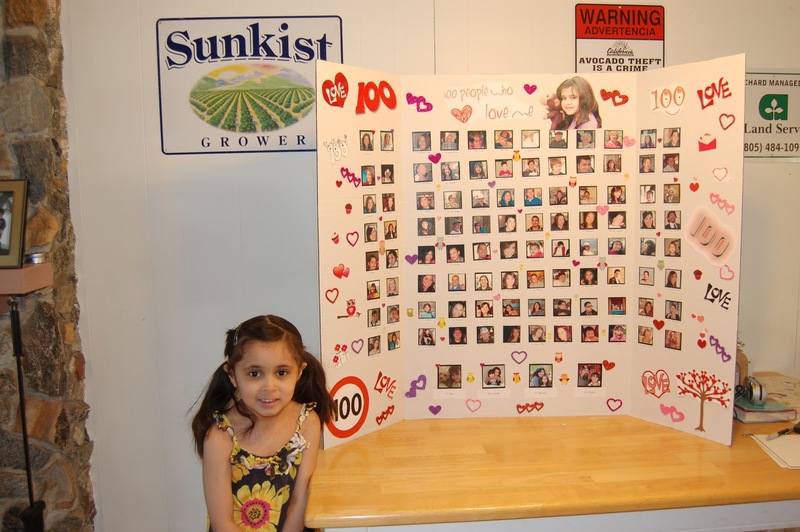 The 100th day of school is coming up on Wednesday. Each student has to bring 100 of something for show and tell that day. This is the first time The Phi has had 100 day and I really wanted to do something cute and creative. So I went where I always go for advice from family and friends....Facebook. There were a lot of good ideas but my cousin Mikey suggested pictures and that got me thinking. First I thought I could use The Phi and I's 365 pictures to do 100 pictures of her and I. Then I thought we could use Lou's 365 photo project and show a pic from Lou's first 100 days. Then I thought why not go even bigger, why not do pictures of 100 people. Then the lightbulb, Oprah ah-ha moment. 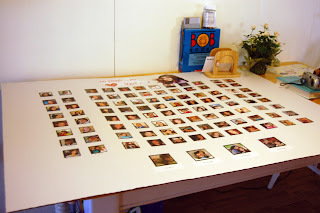 Pictures of 100 people who love The Phi. I asked Joey if he thought I would be able to find 100 people and he just laughed. And boy was he right. So now that I had the idea it was time for execution. First thing was to get together a list of 100 people. That took 5 minutes. 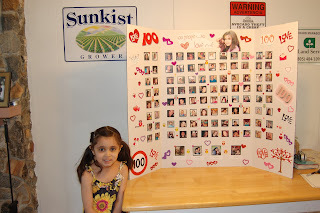 Next step was to get pictures of each of the 100 people on the list. 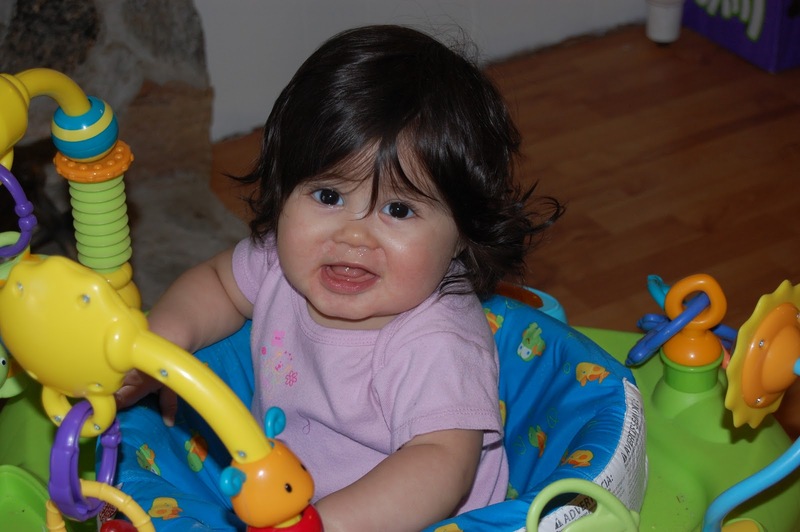 Thanks to Facebook and my crazy organized Flickr account it took a few days but I found a picture for all 100 people. I cropped each picture to frame each persons face and saved them. Then I had to figure out the best way to get them all to be the same size and how to print them. I turned to Picnik. I made 5 different 4x4 collages for numbers 1-96. Then for the last 4 I made a collage of just the four. 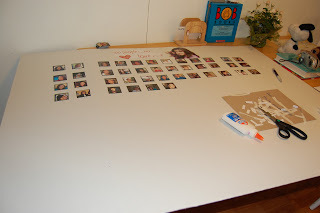 This was I was able to get the pictures all the same size already on a grid for cutting. I then made labels with everyone's name and number. 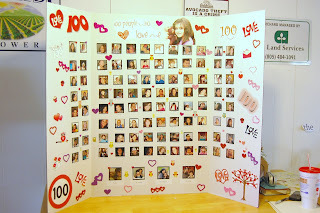 I found a good picture of The Phi and printed it out and made a sign that said "100 People Who Love Me" and a few decorations. Next was trying to find the best way to display it. I knew I was going to need more room than your average poster board would allow, so I was vrey relieved to find out that they made those tri-fold presentation boards. Think science project style. So off to the craft store we went for the board and some fun decorations. Then it was time to put it all together. And being the crafty nerd I am I could not wait to get started. 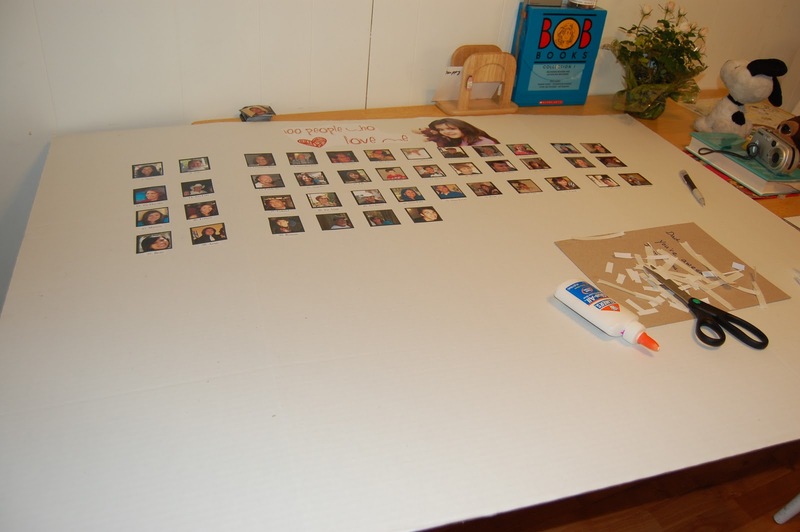 So I grabbed the glue and got to work.8 rows of 12. Yes there was even math involved. Once the pictures were done it was decorating time. That's when The Phi came in and worked her magic. We glued and stuck stickers all over the place and the end results was absolutely fantastic. 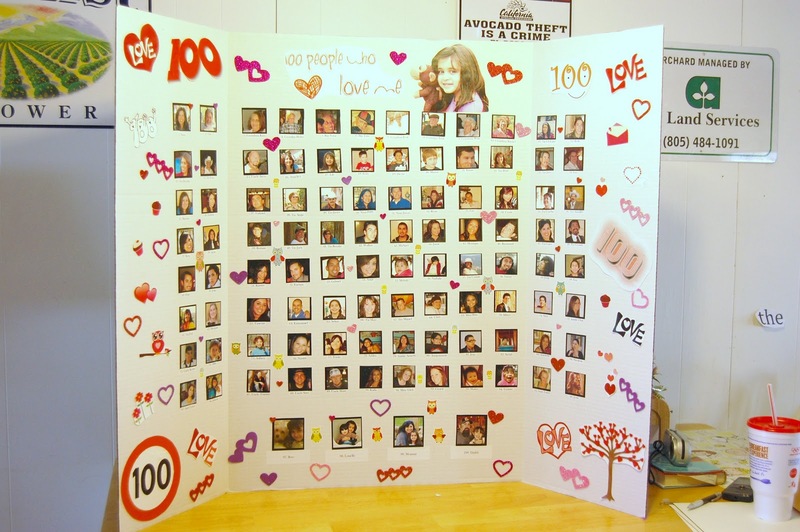 The best part about this project was that I could have easily made a display of 200 people who love The Phi. There are a lot of people missing from this poster. My Phi is one loved kid and that is awesome. This is such a fantastic idea, and the execution is great. AWESOME! Just in time for V-day!